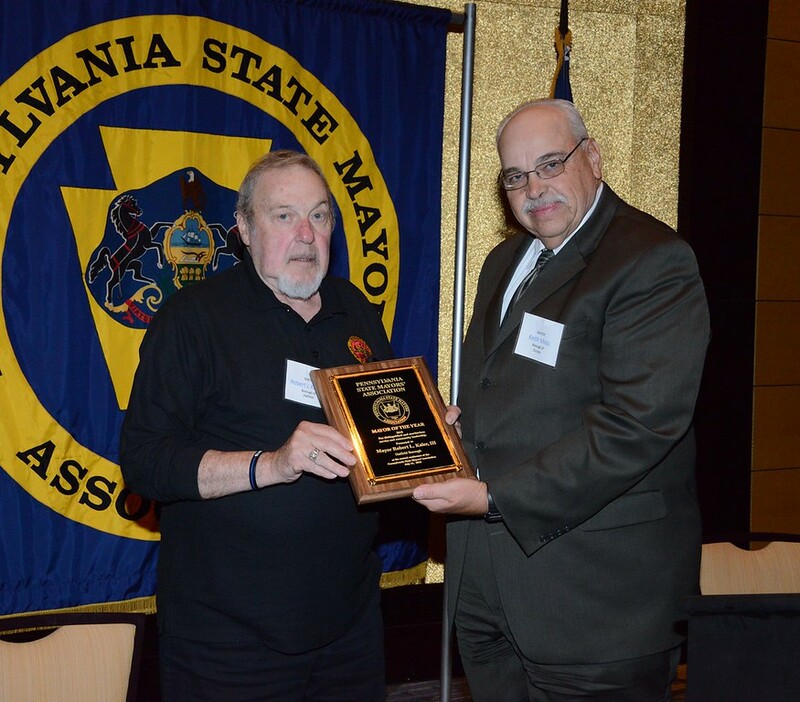 Every year, the Pennsylvania State Mayors’ Association (PSMA) invites officials of the municipalities of its member Mayors to consider whether their Mayors have had a significant impact upon their communities and are worthy of the title "Mayor of the Year." Nominees are expected to be leaders in their municipalities and have extraordinary accomplishments. The 2018 Mayor of the Year is.. There are some Mayors whose lives are so interwoven into the fabric of their community that they become synonymous with it. Mayor Robert L. Kaler, III is one of those Mayors. He is "Mr. Hatfield Borough" and is well-deserving of the Mayor of the Year Award from the PSMA. Mayor Bob Kaler is a life-long resident of Hatfield Borough with strong ties to the municipality's political and civic organizations. The people of Hatfield Borough have elected Mayor Kaler to several different offices over the course of his public life. Mayor Kaler is presently serving in his 15th year as Mayor. For seven years, he served as a member of the Hatfield Borough Council where he ascended to the position of President in his final year. For ten intervening years, Mayor Kaler was the Judge of Elections. It is noteworthy that the present members of Hatfield Borough Council have so much respect for Mayor Kaler’s experience and judgment that they have asked him to serve as an ad hoc member of several council committees as well as the Borough’s representative to outside entities such as the Northern Montgomery County Recycling Commission. Mayor Kaler is a veteran of the United States Navy serving during the time of the Cuban Missile Crisis. For many years, Mayor Kaler has been an active member of the Hatfield American Legion Post 933 where he currently holds the position of Commander. For his many accomplishments and the exemplary manner in which he has held the Office of Mayor, the PSMA calls upon all Mayors to recognize and congratulate Mayor Bob Kaler as our 2018 "Mayor of the Year."